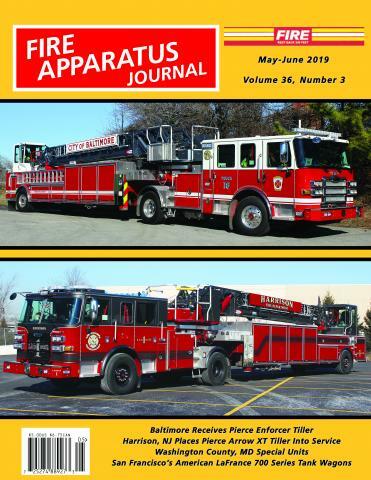 Dallas/Fort Worth by Eric Hansen | Fire Apparatus Journal Inc. The Dallas/Fort Worth Update column reports on apparatus news in this large and expanding metropolitan area of North Texas. The primary cities in the region are Dallas and Fort Worth, with a combined population of over 1.6 million protected by nearly 100 fire stations. The column also covers apparatus deliveries to many large suburbs that are virtual cities of their own and add another 1.5 million people to the area’s population. These suburban cities have fire departments ranging in size from 1 to 16 stations and offer an exciting and fluid mix of apparatus to the region. In addition, the Dallas/Fort Worth International Airport is covered. As one of the world’s largest airports, it also features one of the world’s largest airport fire departments, operating out of five stations and equipped with one of the best ARFF fleets anywhere. The Dallas/Fort Worth column is written by Eric Hansen, an avid apparatus photographer for over 20 years. Eric has written this column since 1991 and has authored many feature articles and department profiles from around the country. His photographs have been published in numerous fire apparatus books and fire service publications. Eric is a professional law enforcement officer with a lifelong interest in fire apparatus and the fire service. He resides in Grand Prairie, Texas, with his wife and three young children. Eric can be contacted at hansino@tx.rr.com.